Now that PHCN has been broken up into several small and private companies – Talk of the power shed from the centre. (No pun intended.) – there is a a lot of work going into making sure the companies stay solvent i.e. making money. The first step in this direction is to plug revenue leaks. Eko Electricity Distribution Company is doing just that. 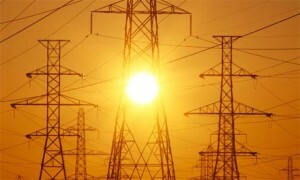 The company is motivating customers to pay bills by promising a steady power supply in return. According to Amoda, the Power Holding Company of Nigeria (PHCN) owes about N40 billion to such gas companies. Eko EDC hopes to have all consumers with meters within 18 months and will have a method for preventing over-billing, a process that has historically been ridden with mismanagement and corruption.